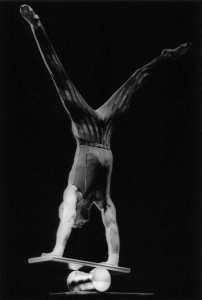 Jens w as a gymnast at Dartmouth College (Ivy League Champions in 1981!). Upon graduating he adapted his gymnastics skills, learned the joy of performing, and spent the next 19 years doing a multitude of acts in circuses all over the world. 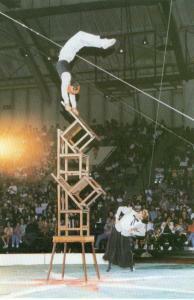 His specialties were aerial Roman Rings, comedy chairbalancing, handbalancing, and rola bola. Over the course of his varied career he performed both solo and group acts in shows on four different continents that ranged from the very small to the very large and ran the stylistic spectrum from traditional to contemporary. After retiring from performing, Jens obtained his teaching certificate and a Masters Degree in Secondary Education and spent 14 years as a teacher in the Phoenix Union High School District where he taught math and Academic Decathlon. Jens has coached acts for the Royal Lichtenstein Circus and the Pickle Family Circus, he has taught gymnastics in New York and San Francisco, and recently coached the advanced summer camp program at Circus Harmony in St Louis. 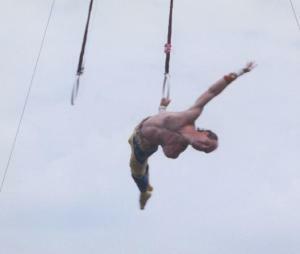 Now, Jens is combining his experience in circus and education to begin a youth circus education program in Phoenix where he has been based since 1992.